WE ARE CONCRETE POOL SPECIALISTS! 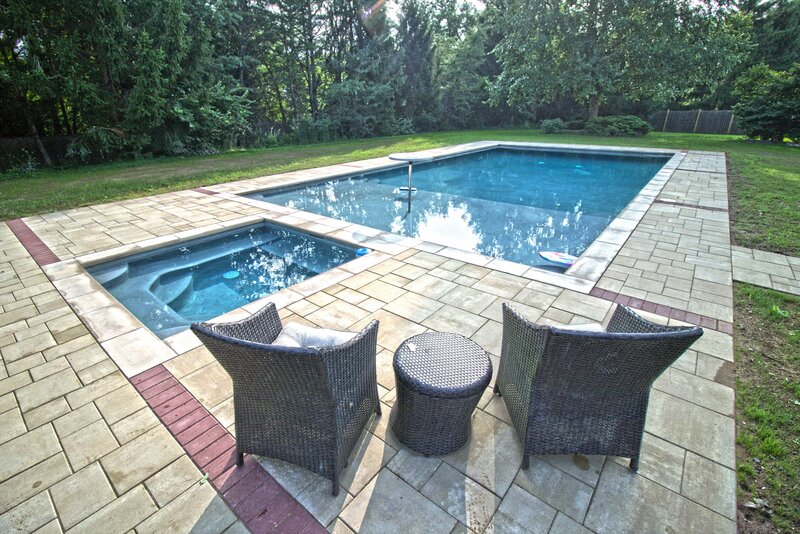 Here at Giorgio Custom Pools, we believe true custom pool construction and renovations, are much more of an art form than years past. This allows our customers to experience personal design creativity with us, to create their own vision. Whether a new project or a renovation, with Smart technology, user-friendly equipment, owning a pool has become much more relaxing, as it should be. Spend your time with family and friends enjoying your pool, not working on it. We give our customers the power to personalize their own selections while offering suggestions and guidance, to ensure that this is their custom experience. We take an old fashioned "hands on" approach to build the highest quality pool with the most advanced technological equipment for optimum performance and energy efficiency. With so many beautiful features we can custom build and install to accentuate your pool are endless, simplistic to elaborate. From extended benches, sun shelfs to creative rock waterfall formations and caves to name a few, we are confident our customers will have what they want. Take a look at our gallery for some ideas. READY TO BUILD THE BACKYARD OF YOUR DREAMS? © 2017 Giorgio Pools, LLC. All Rights Reserved.